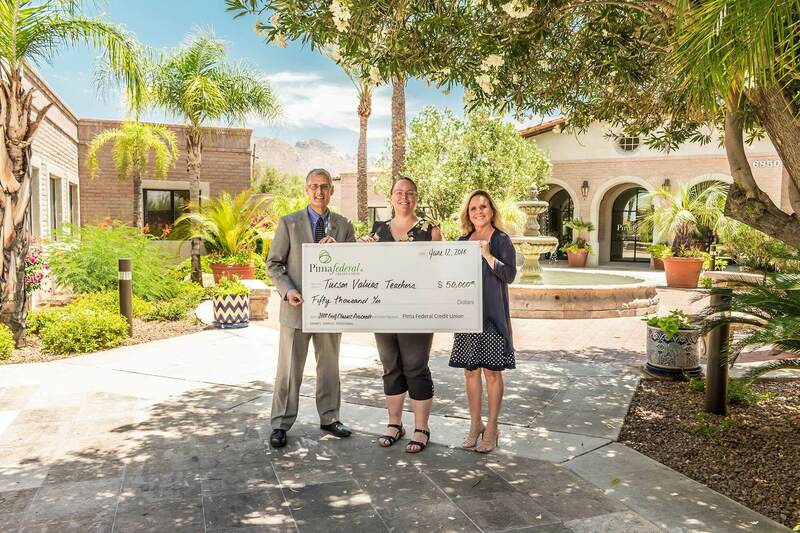 Pima Federal Credit Union presented $50,000 to Tucson Values Teachers (TVT) for use in TVT’s Tucson Supplies Teachers, an annual supply drive for Southern Arizona educators. Funds contributed by Pima Federal Credit Union were raised at the 6thAnnual Pima Federal Golf Classic, held earlier this year on May 3 at the Golf Club at Dove Mountain. The partnership between TVT and Pima Federal Credit Union has resulted in more than $360,000 raised since 2012. In addition to the collaboration with Pima Federal Credit Union, TVT works with other community partners to raise funds for Tucson Supplies Teachers. 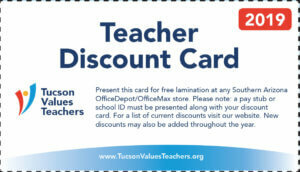 A partnership with OfficeMax/Office Depot allows teachers to use the TVT Teacher Discount Card for special deals on supplies, which can stretch their $50 gift card to nearly $75 worth of supplies. “I’m proud to live in a community where businesses and individuals step up to support teachers. Even though we raise a substantial amount for the Tucson Supplies Teachers program each year, there are still thousands of teachers who register for support that we can’t reach,” says Rogerson. Community members and businesses interested in making a donation towards the supply drive can visit www.TucsonValuesTeachers.orgfor information on how to contribute. TVT is currently raising funds in the community to help match Pima Federal Credit Union’s investment; so far, another $10,000 has been raised towards that goal.